BERLIN (Reuters) -- German automotive supplier Leoni expects operating profit to improve over the course of 2016, though is bracing for a "challenging" year, CEO Dieter Belle said. The company's plant in Romania may place a drag on earnings in the coming years while "miscalculations" on projects in the wiring systems division are hurting profit, Belle said during a conference call on Monday. "[This year] will be a challenging year for the whole organization," the CEO said, adding business should improve gradually from a low point in the first quarter. Leoni cut its 2016 sales forecast for a third time in five months on Monday, citing a weaker outlook for the underlying economy. 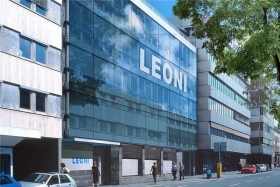 Leoni expects sales to fall to 4.4 billion euros in 2016 from 4.5 billion last year, Europe's leading provider of cables and cable systems to the automotive sector said in a statement. Leoni expects its full-year earnings before interest and taxes to fall to 105 million euros from approximately 151 million euros last year. Leoni's EBIT in 2014 was 182.5 million euros.